Chabad at Rice is proud to offer a free & fun 10-day tour of Israel. These trips are a gift of Birthright-Israel and facilitated by Mayanot. This amazing gift is available to Jewish young adults, ages 18 through 26 who have never been to Israel on a previous educational tour with their peers. Mayanot's Birthright-Israel tours are open to all Jews, regardless of background, affiliation or practice. Our welcoming approach and excellent track reputation of attention to detail help ensure that Jews with varying beliefs and observance levels are able enjoy the program — together. Yes, the program is free. This includes airfare, accommodations at quality hotels, and almost all meals. A $250 fully refundable deposit is required, and is returned after the program. Students will need to arrange their own transportation to the city of departure, and are expected to pay for several of their own meals in Israel. That's it! What will we do when we are there? Why are these trips free? Birthright-Israel is a unique partnership between the people of Israel through their government, local Jewish communities and Federations (through the United Jewish Communities, Keren Hayesod and The Jewish Agency for Israel), and leading Jewish philanthropists. The goal of these exciting tours is to inspire in our participants a stronger connection to the Jewish people, Jewish life and to the Jewish State of Israel while having a great time! What about the situation in Israel? We understand that applicants may be concerned about the security situation in Israel. Rest assured that the safety and security of our participants is Mayanot's and Birthright-Israel's number one priority. Please click here for more. Can I invite friends from other schools to come with me (or can I go with them)? Yes! You can invite your friends from other schools to go with you! Just ask them to sign up with Mayanot, and send an email to info@mayanotisrael.com. If the group dates don’t work out with your personal plans, you can choose to go on another date with another school, or you can wait until the next round of trips. At Mayanot's Birthright-Israel tours, all Jews, regardless of Jewish background, affiliation, knowledge or practice are welcome! 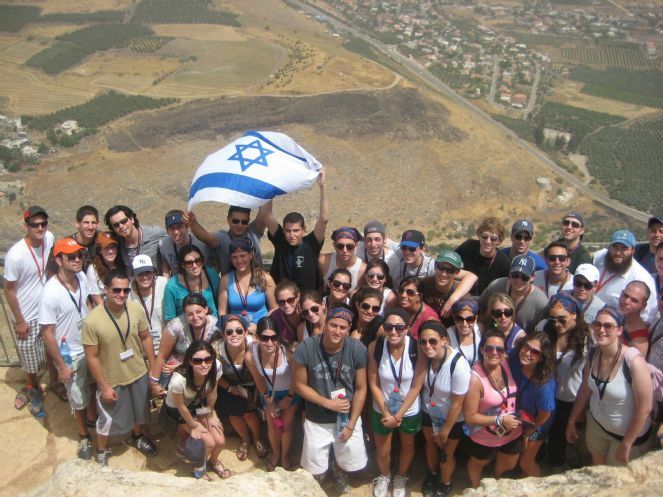 Because Birthright Israel is only open to Jews who have never been to Israel on a peer-group experience, naturally many participants have very limited connection to their Jewish identity. Our experienced staff create an atmosphere to ensure that all participants, from all walks of Jewish life, feel comfortable on a Mayanot trip. And our experience has shown that this wide mix of backgrounds provides for a richer and more interesting experience for all. Can I contact someone who went on this trip before? Absolutely. Just email israel@jewishriceu.com and we will be glad to connect with you with an alumnus of the program. Send an email to israel@jewishriceu.com with your question and we will hasten to answer them! Visit www.MayanotIsrael.com for more information and to register today! Already been to Israel and loved it? Are you looking for a little bit more of a connection with Judiasm? Then the IsraeLinks program is for you! Tour Israel and connect with your Jewish roots. Click here to learn more, and to apply.